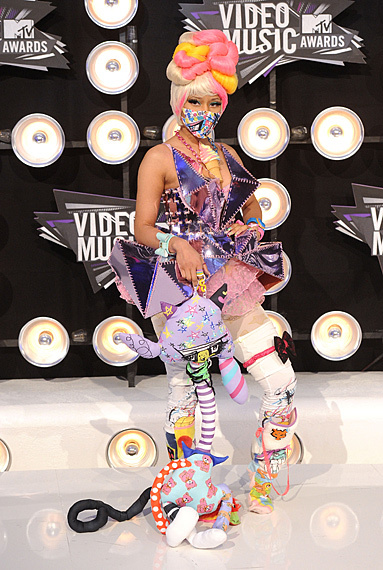 As I'm sure several of you are aware, last night was the annual MTV Video Music Award show. Unless my memory fails me, I haven't missed this show for at least the last 15 years running. But it's funny - the way that I watch this show has changed since I was in high school. Here's are a few of those changes. Then: I would write down every winner in a notebook so I could gab about it with my friends at school the next day. Now: I refreshed my Twitter feed obsessively and made comments to my best friend from high school (even though she's 300 miles away) in real-time with the show. Then: MTV sometimes actually AIRED the videos they were honoring this night. Now: The only reason I've seen any of these videos is because of curiosity and YouTube. Then: Only the biggest names in music and sometimes film were invited to attend. Then: Britney Spears stripped, made out with two girls on stage, and showed her crotch to the world when she got out of her limousine. Now: Britney Spears thanks God in her speech while dressed completely glamorous and classy and looks horrified at most of the people showing up at the awards. Congratulations. You've made Britney Spears look normal. Then: Katie Holmes was an attendee at the awards because she was on the hit show Dawson's Creek. Now: Katie Holmes is an attendee because...I don't know why? That sweater is STILL better than Nicki Minaj's outfit. Then: I was so "in the know" when it came to all of the nominees and attendees, their personal life dramas, and the music they were being honored for. Now: I'm still not totally sure who Gaga was supposed to be last night. 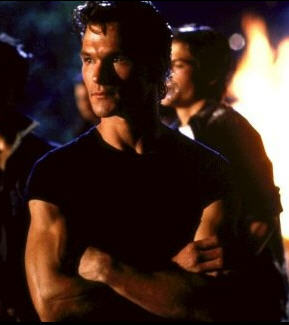 Patrick Swayze in The Outsiders? Then: I took a break from watching the show to refill my soda, make a bowl of popcorn, and chat on the phone to someone who was also watching it. Now: I took a break to give TIH a bath and do a load of laundry after he threw up all over his crib, himself, and his stuffed lamb. Then: I watched the show front to back and stayed up to watch the replay to make sure I didn't miss a single thing. Now: I saw that it was 9:30 pm and decided to call it a night. I can watch it on DVR tomorrow. Without commercials. After reading this I'm sorry I missed it! Thanks for the recap and so sorry to hear about TIH. I hope he's feeling better!